Home › news › Dare To Zlatan! Another record for the Swedish star. Dare To Zlatan! Another record for the Swedish star. Another D-Day, for the Swedish star! The Parisian player,coming back from injury, he distinguished himself, scoring a hatrick against St Etienne (5-0) and became Ligue’s 1 top goalscorer with two goals difference from his “followers”. 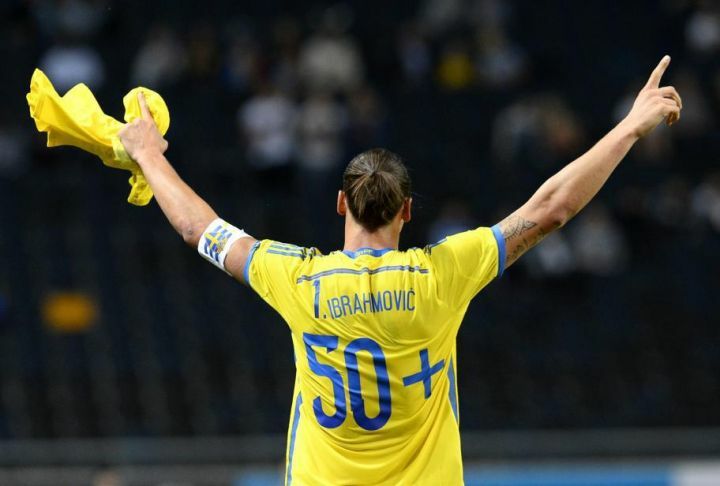 After the french championship, he continued to enjoy himself, with Sweden’s national team, versus Estonia 2-0 a friendly, before the Euro 2016 Cup, qualifications. Nevertheless, the referee warned him(yellow card) for this gesture, but that didn’t change Ibrahiovic’s high spirits. So, another record down by PSG’s icon ! 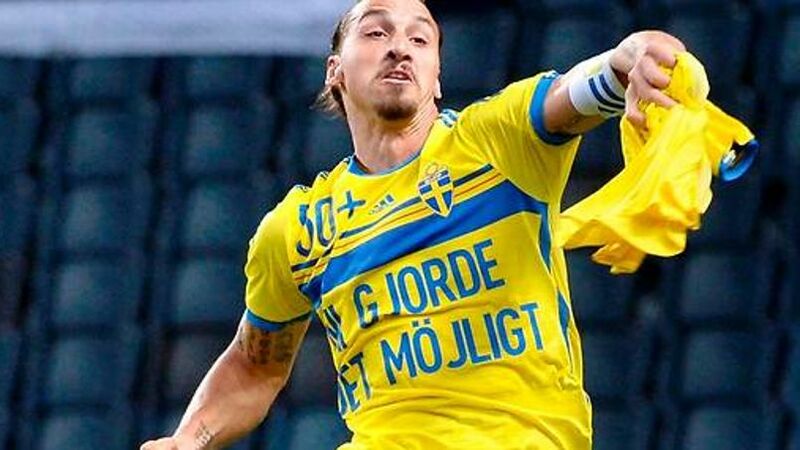 He’s beaten Sven’s Rydell, old record, way back, between 1920-1930 ( 49 goals in 43 games ) and now the new Sweden’s most prolific striker (99 games) after celebrating his 99th selection, he should reach his 100th next Monday, in Vienna, for the first stage of Euro 2016 qualifications. What an incredible player and what a character! The native of Malmö will celebrate his 33rd birthday (3 October 1981) having reached the pick of his international career an enjoying a world-wide fans appreciation. Just a last interrogation: what was he thinking putting the “50 Goals” shirt under the regular one, before getting out in the pitch? ‹ England or Spain for Radamel Falcao? ENGLAND !